The Shadow War's toll on Balor becomes more apparent day after day. The Decay now runs rampant, as entire cities become uninhabitable. Some fall beneath the oceans, others into sink holes forming right beneath them. Cataclysmic earthquakes and volcanoes have laid waste to towns and villages, and some have fallen to plague-like miasmas. The only land seemingly unaffected by the destruction lies to the south, across a vast ocean and unexplored by even the bravest of Balor's citizens. In fact, only Rothem ever dared to cross to the Wilds, returning with the very weapon that seemingly began the process that is eating the world alive. - Ruination: Continued use of shadow energy has now opened up huge tears in the fabric of the world, creating portals between previously far-away lands in Balor and huge chasms that have swallowed up entire populations. - a new type of card called Location, which will represent where the battle between our characters is currently taking place; this will change throughout the game to represent either a physical journey or a portal opening between places. 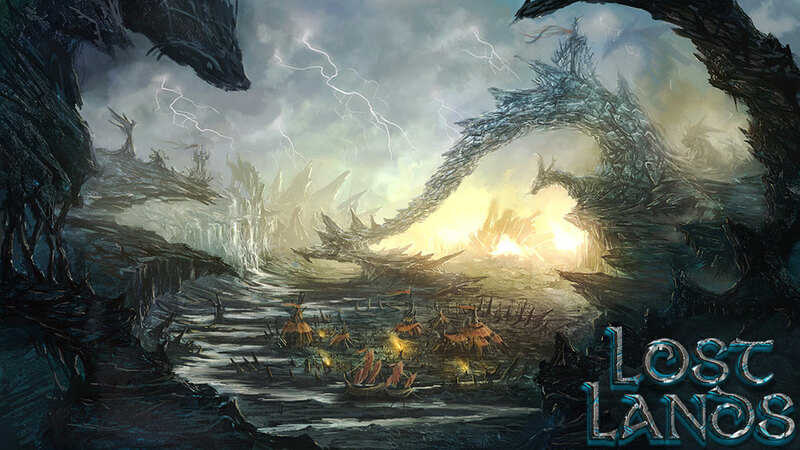 Sides can win or lose control of locations, which adds a further meaning to the idea of "lost lands". - a new mechanic called Seek, which allows you to search your deck for a card meeting some criteria. - fully neutral allies, representing characters so far not involved in the conflict, with their own agendas and motivations. - bolstering of each of the ally alignments that were established in Shattered Fates, as more allies from those alignments are brought into the conflict. Set 4 will be released in parts, each acting like a small expansion and being balanced accordingly. The first part will have roughly 65 cards and is focused on giving greater power and more options to "tribal" decks, as well as adding some useful splash allies for other decks, and debuting our new Location card type. As of today, Part 1 is nearing the end of its closed beta testing. We'll be revealing more and more details about Lost Lands in the next few weeks! Last edited by Gondorian; 09-07-2015 at 02:42 PM. 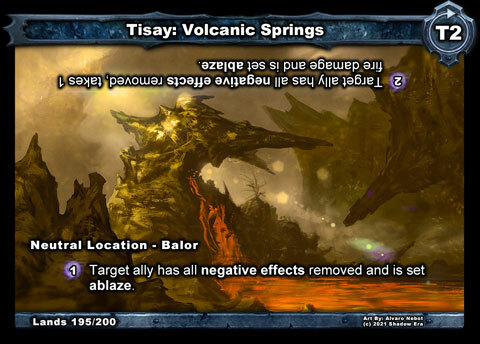 Looking good, and judging by those images, stuff already has art and flavor texts (those cards do at least, lol). I will say I'm not entirely sure about the look of the Location cards. Not sure if that image depicts a final look, but looks very squished down and odd to me. But otherwise excited to see more. 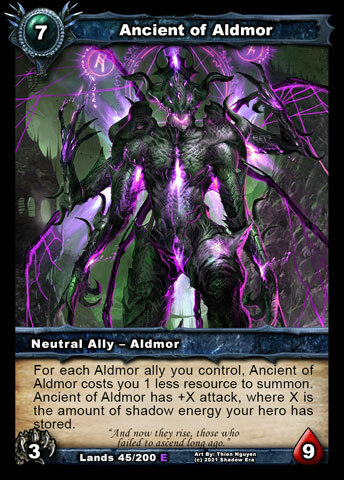 I can't wait to make an Aldmor deck! 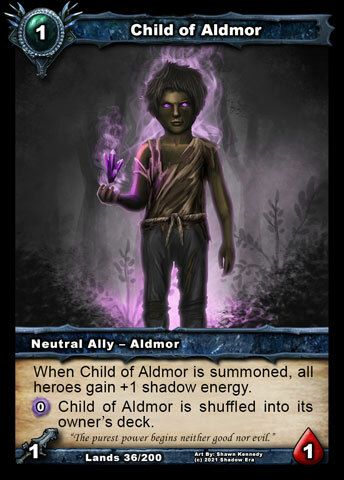 That Ancient of Aldmor seems like a really cool card which will make your opponent think twice about spending their shadow energy! The location card sound really cool too. I love the idea of a battle that keeps going through shadow gates to different dimensions. Doesn't seem completely obvious to me how it's gonna work, but it sounds like it's going to really shake up the gameplay. Are Wulven done with adding new heroes now? Didn't see any in the list. To be honest we've probably got enough of them. Some of the less played ones just need more cards that support them which I guess they're gonna get. 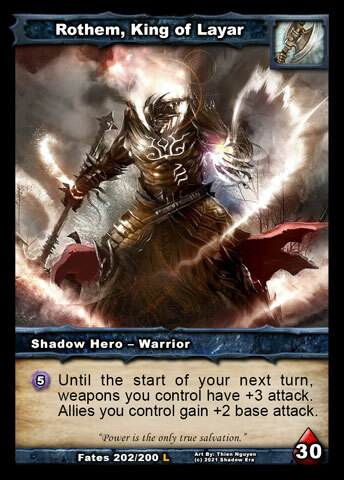 Also, I've got my fingers crossed for a Man of Shadows card! What is this strange sensation... could it be? Is it hype after all this time?! Did everyone notice it's being released in sections? It's cool that we might have a quick release of the first 60 cards.